If your FlashPoint Streaklight 360 (aka Godox AD360) is either a Canon or NIkon version, then it's a yes. You can mount the flash directly on the V6 II's top hot shoe, and it will even auto-detect the flash as either Canon or Nikon and apply an AUTO flash profile. As for the Rovelight 600 (aka Jinbei HD600), it is also compatible as its flash duration is longer than 1/100s at t0.1. Simply connect the V6 II (Receiver unit) to the Rovelight via a 3.5mm sync cable. Thank you Antonio, this is great info. 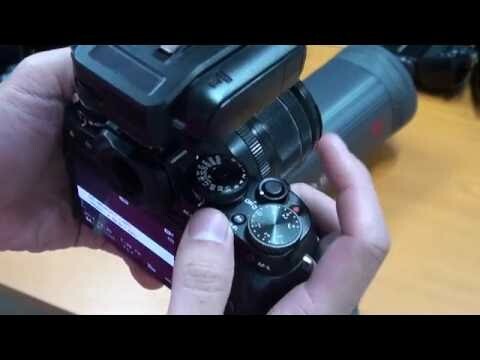 Hi Antonio, will this also work with Panasonic GH4? We can't be sure as we don't have the exact setup. The user who had GH4 work up to 1/8,000s was using a Metz flash, not a Godox. But likely a yes since it's timing between two V6 II. Will this work with the Pixapro hybrid 360 TTL (godox ad360 TTL version) in the same way? Should be if you are sure it is the same Godox unit as the AD360 and that you are able to activate its HSS function, i.e. You see a HSS logo on the flash's LCD. Hi Antonio. What if the Godox/FlashPoint 360 is the Manual version and not the Nikon or Canon version? Will it work? The V6II can trigger those flashes, but no HSS and remote power control.